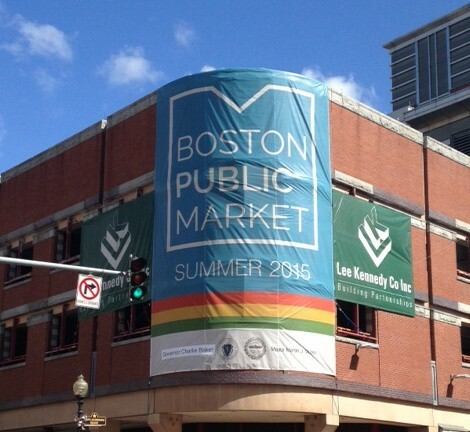 The new public market opening this summer in Boston will never sell a banana or an avocado. In the winter and spring, when there are fewer vegetables in the fields, there will be fewer vegetables in the market’s stalls. And if local fishermen can’t catch it, it won’t be on offer. The Boston Public Market will be home to about 40 vendors, who will sell fruits and vegetables, fish and meat, and honey—all grown, caught or produced in New England. Most major cities either have large public markets these days or have one in works — think Detroit’s Eastern Market, San Francisco’s Ferry Building Marketplace, or Portland, Oregon’s James Beard Public Market, scheduled to open in 2018. While these markets are all champions of local food and farmers, however, none have taken their sourcing rules quite as far. Boston’s market will be the first permanent, year-round market in the country to require its products—not just its proprietors—to be all-local, a model that is both exciting and risky, said Elizabeth Morningstar, chief executive of the Boston Public Market Association, the nonprofit that will operate the new enterprise. The goals behind the ambitious rules are the same as those driving the burgeoning local food movement: boost economic development, help people eat healthier, reduce carbon emissions from long-haul transportation, and encourage consumers to reconnect with the land where their food is grown. The state of Massachusetts is paying for half of the estimated $13 million it will cost to get the market up and running. The environmental nonprofit The Conservation Fund has given the project a $3 million line of credit; private and foundation donations make up the rest of the budget. The building is still a work in progress. 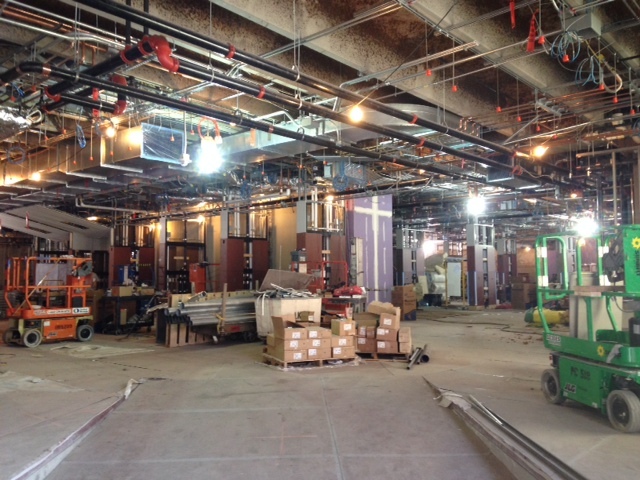 Men and women in hard hats walk the raw concrete floors where shoppers will meander come summer. Visible ducts and wires run along the ceiling and a stack of pipes obscures a wall that will be covered in a cascade of flowers. The banks of floor-to-ceiling windows that line the front of the building are covered in colorful posters that promote the coming market and prevent passers-by from peering in at the unfinished space. As the market nears completion, however, questions remain about its pioneering local-only mandate. Will the farms of highly seasonal New England have anything to sell in winter? Will consumers find the selection too limited? Morningstar has conquered any doubts she once had about supply. More than 300 potential vendors–the vast majority from Massachusetts–have expressed interest in setting up shop in the market, she said. Applicants must submit a rigorous business plan guaranteeing their ability to provide enough product all year. “Even the small businesses have been very diligent about their supply model,” Morningstar said. The growers selling fruits and vegetables have all found ways to extend their offerings through the colder, less fertile months. For instance, Corner Stalk Farm grows greens in converted shipping containers all year. Red Apple Farm will supplement its fruit with cider and treats like doughnuts. Other farms plan to offer items that will store well throughout the winter like root vegetables and winter squash. The first round of vendors also includes businesses selling meat, cheese, milk, ice cream, honey, wine, smoked fish, and greenhouse-grown flowers. Not every ingredient will come from New England — market rules allow prepared foods to use components from outside the region, though the final product must be produced locally. The market will also sell chocolate and seasoned nuts grown out of New England, but processed in neighboring Somerville. And it will have a coffee vendor and some smoothies for sale there that will contain coconut. The question of demand is not as clearly resolved, but there is every reason for optimism. “Local” continues to be one of the most commercially appealing words in the food business, said Rachel Greenberger, director of food entrepreneurship program Food Sol at Babson College in Wellesley, Massachusetts. Though the market will not have the one-stop convenience of a traditional supermarket, Morningstar points to data that indicate most shoppers already make multiple stops to buy all of the groceries they want. Still, consumer education will be essential if the market is to succeed, said Gregory Watson, who was commissioner of the Massachusetts Department of Agricultural Resources when the plans for the market were taking shape. “You want to manage those customer expectations right up front, so [they] don’t come in expecting tropical fruit,” he said. Several vendors will include educational pieces in their own stalls, Morningstar said. An active beehive will buzz behind plexiglass at the booth of the Boston Honey Company of Holliston and Taza Chocolate of Somerville will have a traditional chocolate grinding stone on display. In the market’s kitchen, a versatile space in the corner of the facility, visitors will be able to sample produce or practice their stir-fry technique in hands-on cooking classes. Area conservation group the Trustees of Reservations will coordinate the programming. “This is definitely a radical concept, so the education becomes all the more important,” said Mimi Hall, market programming director for the Trustees of Reservations. Though a market is always a tourist draw, planners are shaping the Boston facility to serve residents first and foremost, Morningstar said. Most vendors will serve some prepared food options, but the only seating will be eight small tables in the center of the space. The goal is not to become a dining destination, but to stay focused on the needs of local shoppers looking for dinner ingredients, she said. To make sure the market is an option for all residents regardless of income, all vendors are required to accept Supplemental Nutrition Assistance Program (SNAP) benefits, (AKA food stamps). Classes will also be priced to make them affordable to a wide range of participants, Hall said. One-third of the events will be free, she said, and another third will cost less than $20. “We’re making sure people of all different backgrounds and all different means get connected to the land,” Hall said. If the market succeeds, it could be an important catalyst for growth in the local food economy in New England, several people said. Having a guaranteed year-round outlet could encourage farmers to look at boosting greenhouse production, for instance, said Watson. The market is also an important step in building needed local food infrastructure, Greenberger said. And for Morningstar, the market will help both grow and satisfy Boston’s corps of local food devotees. This story first ran on Civil Eats on May 21, 2015.